Show us your whole marketing plan including postcards, email blasts, Web site design, presence print, and any unusual pieces you produced. Examples include self-promo pieces in the form of t-shirts, mugs, books, and other creative pieces. Examples include Web sites, email blasts, multimedia pieces and social networking promotions. Examples include single postcards, booklets, posters and print ads. PRIZE DETAILS: The grand prize winner will receive: A full-page print ad in a 2009 issue of PDN that will promote their business Select winners will receive: A Digital Camera, PDN PhotoPlus Expo 2009 gold passes, One year PDN PhotoServe memberships, Subscriptions to PDN magazine. ELIGIBILITY: All/All Not eligible to enter? - Find contest where you are. COPYRIGHT: All Photographers retain their copyright. 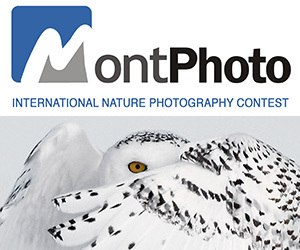 PDN asks that only select winning images can be used to promote this contest for up to 24 months.